Cockroaches are the most common roach found in basements, crawls spaces, food storage, utility closets and floor drains. 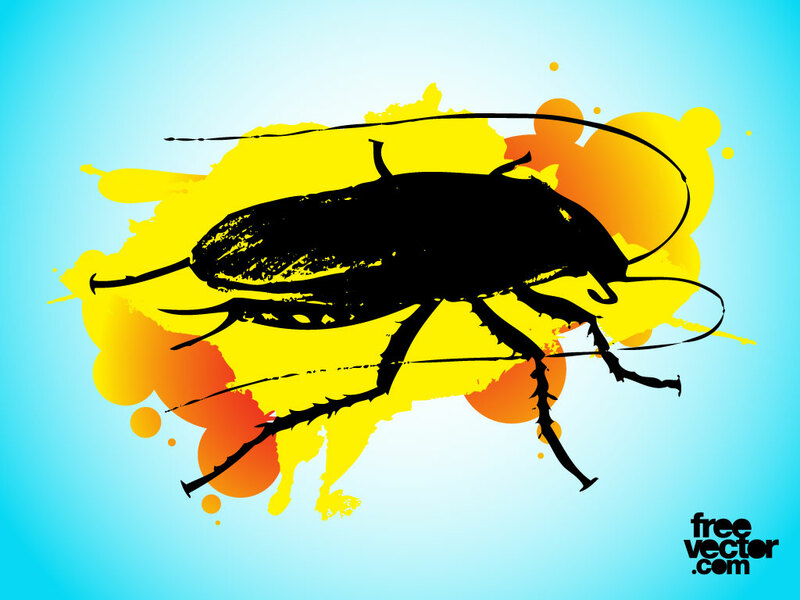 Download this cockroach vector with splatter texture background for your insect and pest control designs. Tags: Bug, Cockroach, Dirty, Grunge, Insect, Roach, Splatter, Texture.